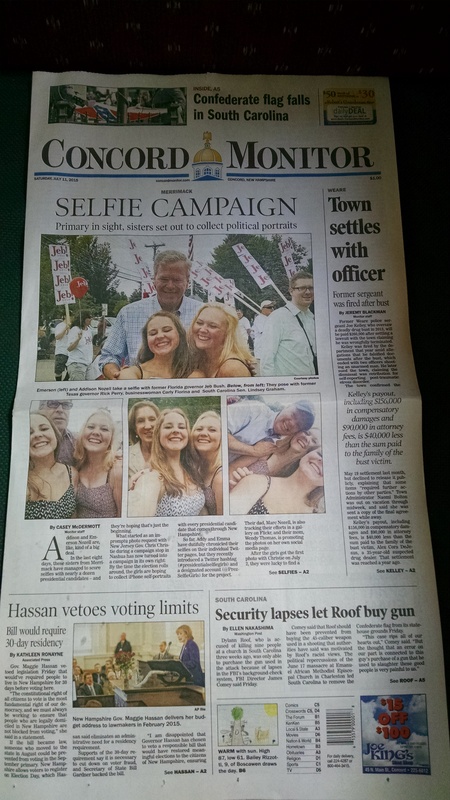 When my daughters, Addy and Emma Nozell, otherwise known as the Presidential Selfie Girls, decided to set a challenge to listen to and snap a photo with each of the Presidential candidates in New Hampshire, none of us knew it would be an experience so filled with positive life lessons. 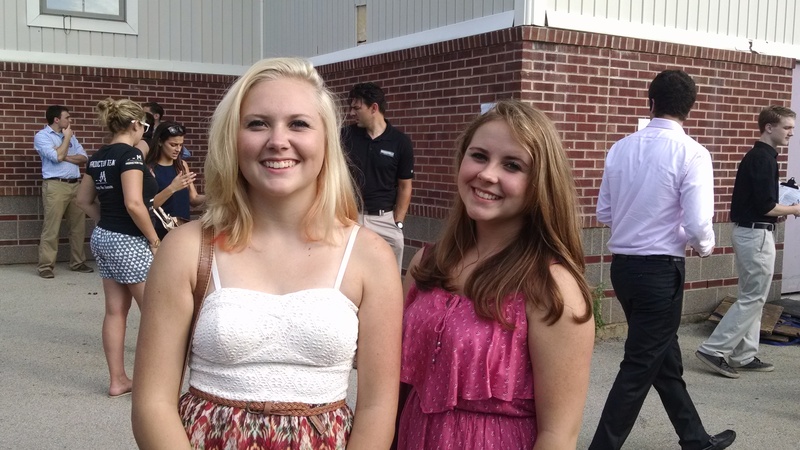 Even if the girls didn’t completely agree with each of the candidates, they all had a valuable bit of life advice to pass on. Below are some of our favorites. Lindsey Graham is a “go down to the bar and have a beer” kind of guy with a great sense of humor, He’s a born storyteller who artfully delivers jokes with the precision of the most accomplished comedian while still giving off an “aw shucks” kind of vibe. But under those jokes lies a deep well of pain. Graham’s mother died when he was 21 and then a year later his father died leaving him and his 13 year old sister orphans. It is a huge emotional and financial challenge for a young man to keep a family that has been so deeply damaged like that together. This Presidential Selfie thing is going crazy. 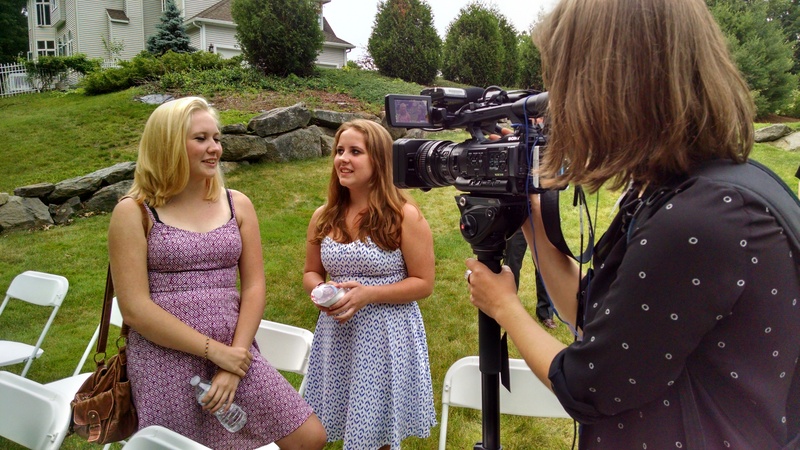 Today the girls are going to be interviewed by CNN, ABC, and NH1. So my little chicks are having a good time this summer. What started off as a fun challenge has now turned into a “thing”. 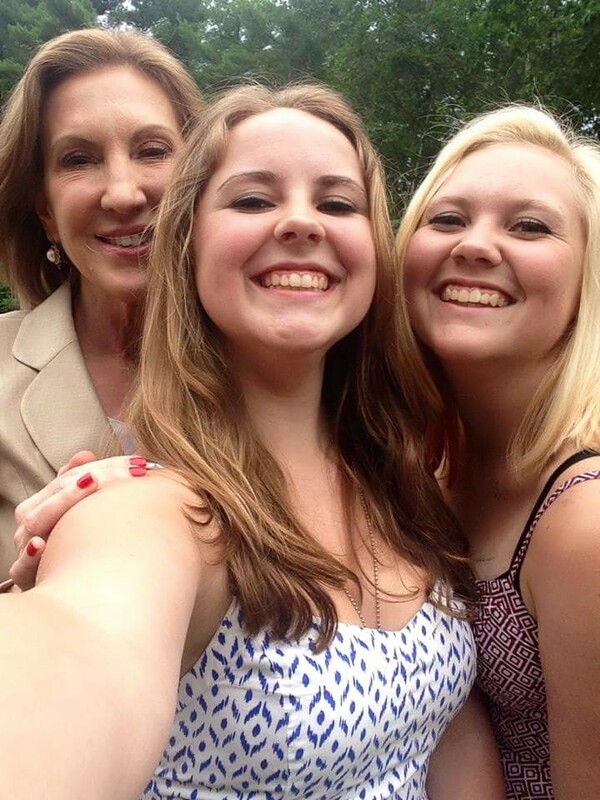 Well last night they attended a Carly Fiorina (R) event and managed to snap their 11th (!) presidential candidate selfie. My chicks ended up on the local news. My daughters think they are playing a game by getting all the presidential selfies, BUT in order to get their selfie they have to sit through a talk by the candidate. My daughters are getting a selfie prize and we are getting critical thinkers. Please note that political photos do not imply endorsement. Lesson 1287 – But why chickens? There’s been a lot of buzz about Vermont US Senator Bernie Sanders who is currently running for President as a Democrat (even though he’s really an Independent – rules are rules.) 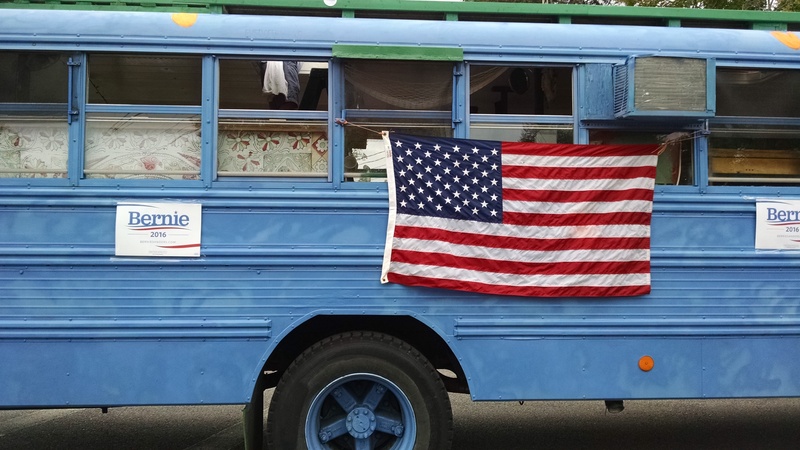 Because we live in New Hampshire, he’s been busy canvassing our state and making political stops. I have yet to see Bernie (oh I will) but the initial feedback is that he constantly points out the emperor has no clothes, and that message seems to be resonating with folks. The American people must make a fundamental decision. Do we continue the 40-year decline of our middle class and the growing gap between the very rich and everyone else, or do we fight for a progressive economic agenda that creates jobs, raises wages, protects the environment and provides health care for all? Are we prepared to take on the enormous economic and political power of the billionaire class, or do we continue to slide into economic and political oligarchy? These are the most important questions of our time, and how we answer them will determine the future of our country. The state sport in New Hampshire recognized by all is our Presidential primary. Many of our evening dinner conversations have covered what we’ve thought about what we’ve heard at each of these events. Trust me when I say that sometimes our discussions can get very lively. Yesterday, Governor Chris Christie (2016 Presidential Candidate) came to an event at a restaurant the next town over. Marc and I grabbed the girls (everyone else was working) and we hurried on over. I was a little surprised at the turnout, if you didn’t count the campaign staff and those who were sitting at tables having dinners, you’d be hard pressed to say that there were more than 2 dozen people there. Where is everyone, I wondered.